Good afternoon, Ragnar0k. 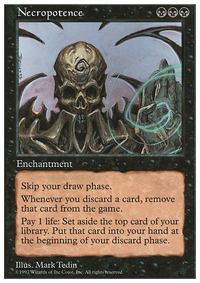 So I checked out your reddit site, and I have to say, it's interesting to see the various types of cEDH decks. However, I still see a huge range of mana curves in the decks there. It's cool to see a few decks that have less than 30 lands and still be decent, but I will still stick to facts that most cEDH decks just don't proficiently run that low, especially commanders that costs 4 mana and more. But if it works for them, that's pretty cool. I may have to think about pulling out a land for a stax piece. I can see using Grafdigger's Cage to slow down the graveyard fun. Will try to make room for it. I can't see myself removing Ensnaring Bridge , because it works on 's great weakness: a low hand size. 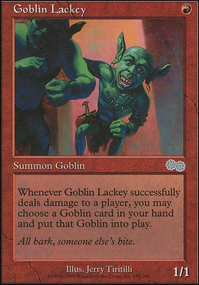 There are numerous games where I find myself facing a field of dragons, merfolks, or The Locust God 's field of little guys, and this artifact holds them off (with one or two cards in my hand) till I get to my wincon. 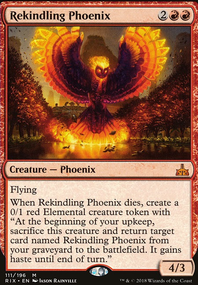 Boil is a cool card, however, I run into many EDH decks that don't really run many basic lands, or even Islands, which is why Price of Progress and Ruination hurts like hell to them. Overall, I enjoy the thoughts you bring to the table. 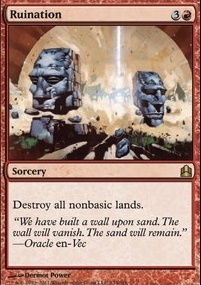 I agree that I can benefit from more stax pieces, and possibly a bit less land. 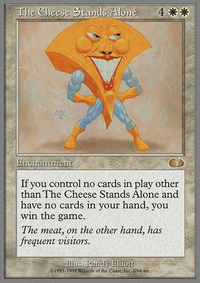 I have been thinking about it for a while after my success with Azusa, Lost But Seeking Fun (EDH Primer) and just watching people squirm when they can't play their pieces. Thank you, I will work on it. DrValium: The issue is that 1) my permanent count is very low in this deck, 2) I generally don't have a huge number of tokens unless I've either won or something is very wrong (since this is primarily an infinite combo deck; I don't plan to keep tokens around for long), and 3) 8 mana is a lot, even for a wincon :( Thanks for the suggestion though! 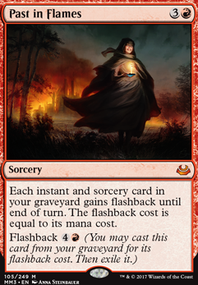 FlamingSamich: I'd probably swap in Back to Basics , Blood Moon , and Ruination , for Compulsion , Stranglehold , and Relic of Progenitus , maybe? 2) Palinchron + Phantasmal Image : Nah, I'd have to have too many lands out (conflicting with this deck's focus on mana rocks), and the two halves don't do much on their own for my deck. 3) Merfolk Looter + Intruder Alarm : Yeah, this only works with my commander out, and doesn't do much outside of that combo. 4) ...yeah, I probably should have Copy Artifact in here. My only reluctance was that I can't tutor it with my artifact tutors. Thinking about Alhammarret's Archive , perhaps instead of Sandstone Oracle . 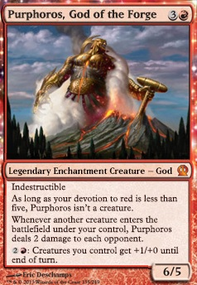 Possibly want to include Karn Liberated and Ugin, the Spirit Dragon . Ruination , Pirate's Pillage , Shattering Spree , Krark-Clan Ironworks and Quicksmith Genius look tasty. I want to include an Imperial Recruiter package, with maybe Gorilla Shaman , Duplicant , Myr Retriever , Treasonous Ogre as options. I also want to fit Bazaar of Baghdad in perhaps. Saheeli's Directive looks cool, possibly too clunky/win more.